Anden A210V1 dehumidifier are designed and built for cultivation. 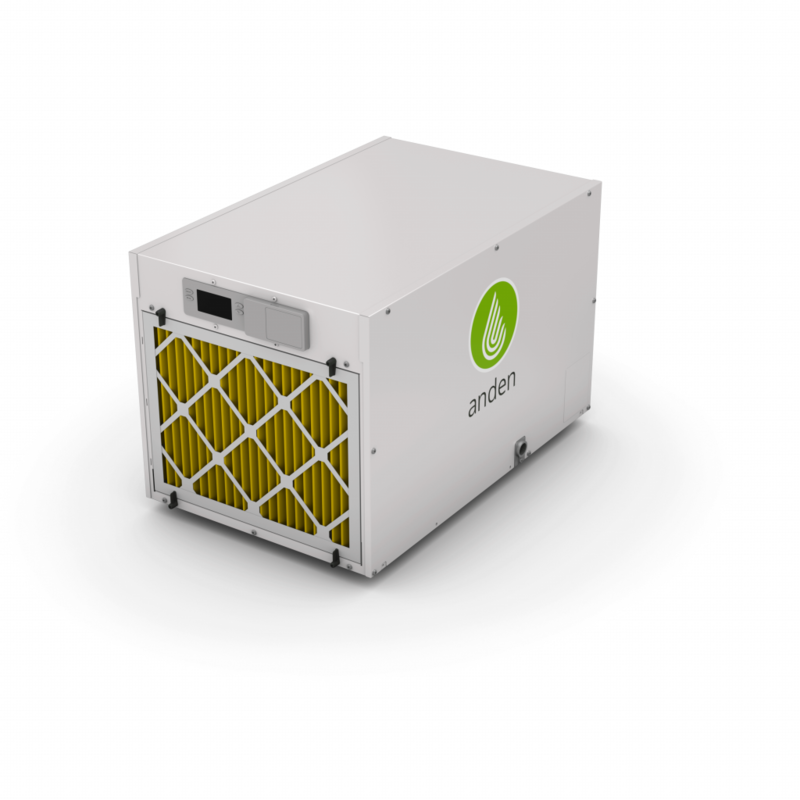 This industrial unit removes up to 210 pints of moisture per day, and circulates air within your cultivation space to create a healthy, grow-optimized environment. Setup is simple, and humidity is constantly controlled to help prevent crop disease and pests. 320 Pints Per Day, 208-240VAC. 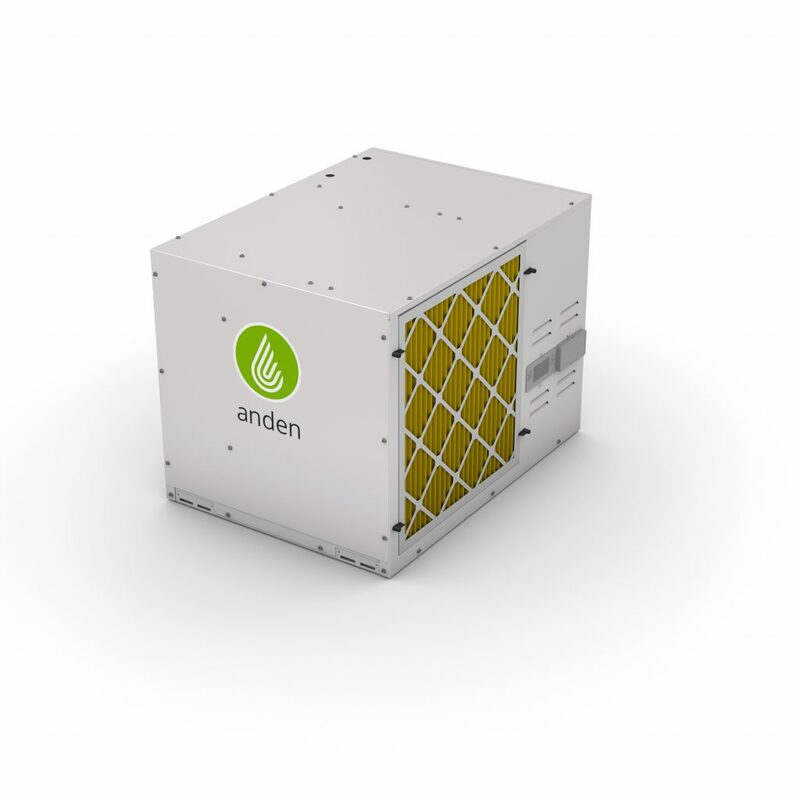 Anden A320V1 dehumidifiers are designed and built for cultivation. This industrial unit removes up to 320 pints of moisture per day, and powerfully circulates air within your cultivation space to create a healthy, grow-optimized environment. And it really moves some air--up to 830 cubic feet per minute for maximum moisture removal. Setup is simple, and humidity is constantly controlled to help prevent crop disease and pests.